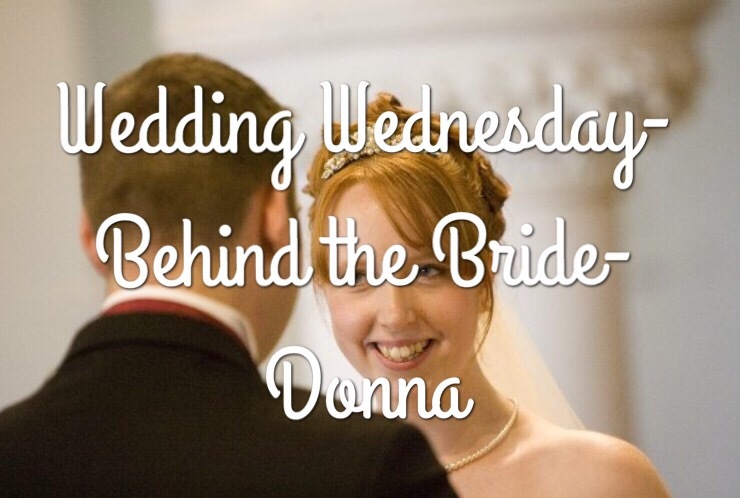 This week’s Behind the Bride I’m chatting to Donna from What the Redhead Said. Hi Donna, first of all, congratulations on your marriage! When was the big day? A little while ago now – 29th May 2009. Dave and I met over the internet on a dating website in July 2004. I was 19 and worked for a bank and he was 22 and a police officer. He proposed at a hotel in Hampshire on a weekend away but he had planned to propose in Tunisia on holiday a few months before – but we both ended up in hospital with food poisoning which scuppered his plans! Oh no! Tell me a bit about your big day. Where did you tie the knot? Did you have a theme or a colour scheme? We got married in a beautiful little church and then had the reception in a big old manor house in the countryside. We had a burgundy colour scheme and my little brother and sister were page boy and flower girl. The weather was lovely, everyone was happy and it was just such a beautiful day. All of it! I loved every minute, from getting ready in the morning to the car journey with my dad, walking down the aisle and saying the vows. I remember walking out of the church with Dave and just feeling such peace. That was it, we were man and wife and we could just enjoy our day and enjoy our life together. It was perfect. Not at all. Nothing went wrong, everyone had such a great time and we made so many memories. The photos were beautiful, our video was amazing and everything went so smoothly. I wouldn’t change a thing. To just enjoy it. To take it all in and try and relax rather than worrying about all the little details. On the day make sure that you take time to go and find your new spouse, hold their hand, have a hug. You spend so much of the day away from them – chatting to people, thanking people and having photos taken that it’s nice to actually take a moment to spend some of it with them too. Thanks for taking part Donna! Your day sounds like it was absolutely perfect!